There’s no question that it’s critical to get your website content right - but with so much information out there, it can be overwhelming to know where to start. 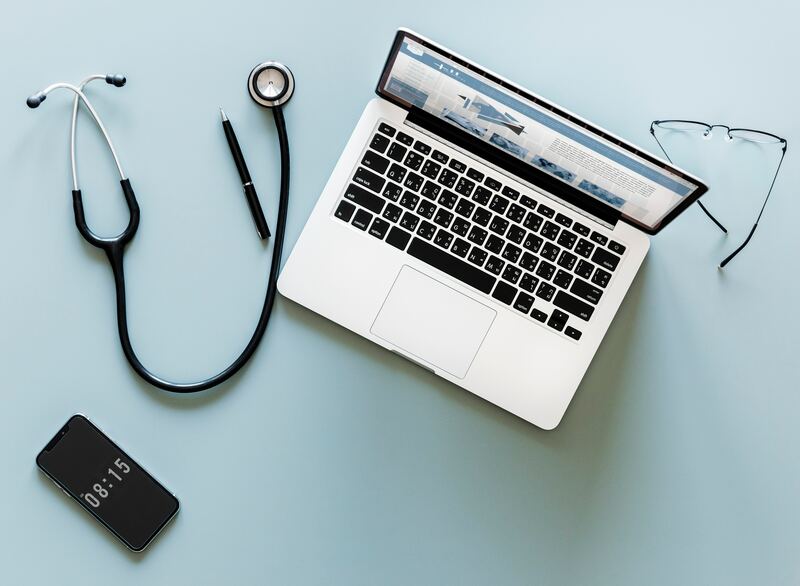 In this article, we’ll give you an overview of the fundamentals of creating effective website content for your healthcare SaaS business. Your target market – Who will be looking at your website content, and why are they looking? Your website goals - What are you hoping to achieve with your website content? Do you want people to give you their email address, schedule a call, purchase a product? Your USP - Why should they use your healthcare software instead of one of the many competing solutions? The answers to these questions should inform the structure, design, and content of your website. Keep it simple - Think of your website content as an interactive experience, not a book - give web visitors the top level of information, in simple, straightforward, conversational language. Stick to the highlights only - Make sure that every word is relevant and helpful - avoid filler text and anything overly technical. Break it up - It’s hard to read long blocks of text online - break up your words with bullet points, images, and graphics. Don’t go it alone - Writing for the web can be tough and time-consuming. If you’re struggling with your web content, consider hiring a freelance writer to do it for you. An experienced copywriter will be able to condense your product expertise and customer insight into polished, SEO-friendly copy. Case studies can be an invaluable way to show customers how you can help them, and build your reputation as a reliable business. A case study should tell a simple story - the customer experienced a problem, how your company helped them, and the final result. It can be very helpful to include any hesitation they had about using your solution - showing how your customer overcame their doubts can work wonders on tentative prospects. Shorter than case studies, testimonials are still marketing gold dust. They are quick to read and show your web visitors exactly what they can hope to get from working with your healthcare software solution. Your about page is the perfect place to show off any official recognition your product has had; familiar certifications and brand names associated with your product clearly establish your company as a reputable authority. Headings and sub-headings help guide the reader through your text and frame your messages for easy consumption. Highlighted hyperlinks and bold font can be a simple way to draw the eye to your main messages. Pictures are still worth a thousand words - but make sure you avoid obvious stock photos, which tend to look cheap and generic. Infographics, graphs, tables and other visuals make your messages jump off the page. 97% of marketers told HubSpot that video helped their customers understand their product or service, and 76% claimed video boosted sales. No discussion of web content would be complete without looking at SEO. The world of search has changed, and so your website content needs to change too. Whereas in the past, SEO consisted of finding keywords and then placing them all over your site. Keyword research is still important when creating website content. Consider long-tail keywords (3-4 word search terms that are highly specific to your product niche). Make sure that you include links to other web pages within your site, as well as linking to other reliable websites. Check that every page on your site has a title tag, meta description, and alt tags on every image. Start (or update) your blog. You have a 434% higher chance of ranking highly on search engines with a blog. Your blog posts should be a minimum of 1,000 words long – 1,800 seems to be ideal. Build long-form pillar pages. If your blog posts are on multiple varied topics, a pillar page is a single page that gives detailed information on a single core topic. It should be at least 2,000 words of original content. Promoting your healthcare software online can be tough - but great website content can make your life easier, engage your leads, reach multiple stakeholders, and bring you new customers. If you’d like Spot On’s help in creating winning website content, just click here to schedule a free 30-minute consultation.